"Buon Appetito" and "Mangia" say it all. This gift box is covered with the makings of a fine Italian meal - bread, cheese, tomatoes, olive oil, grapes and of course, a bottle of wine. Lip of lid is encircled with deep maroon and black ribbons, finished off with elaborate bronze filigree. Inside bottom and top feature flasks of chianti and wine glasses against black background. Comes in one size only - 7" x 4.5" x 2". 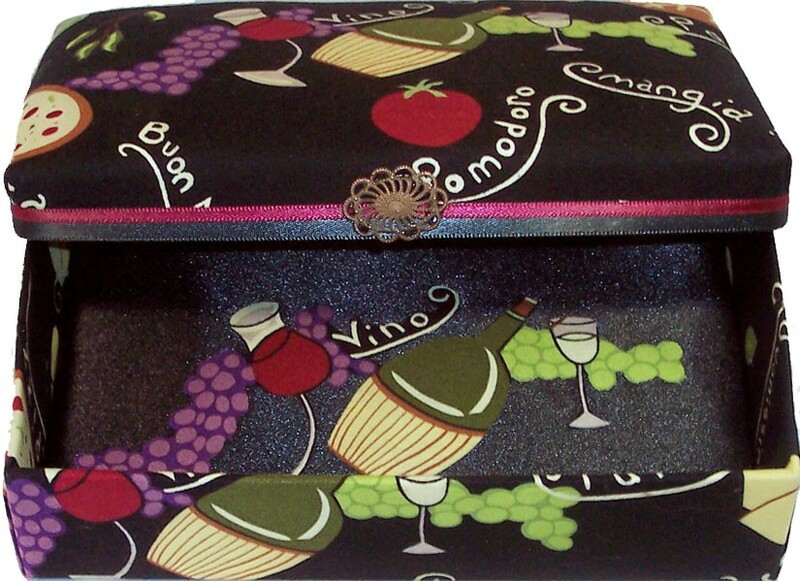 The Wine and Dine Gift Box would look terrific on your bar or any room in which you entertain guests. 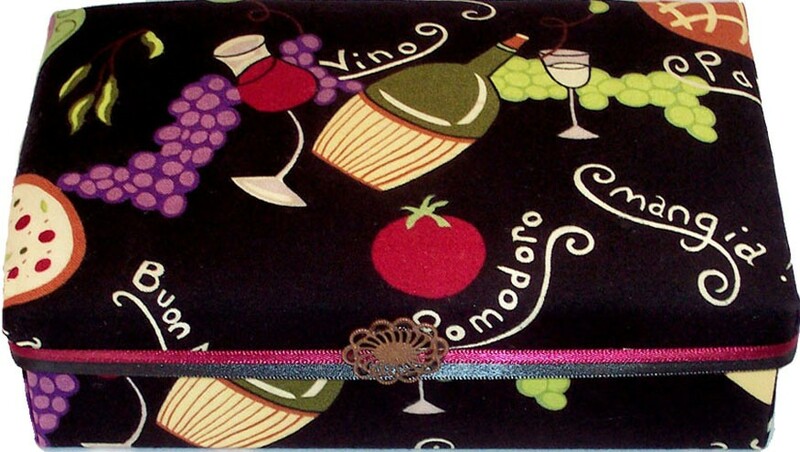 Great gift box in which to store corkscrew, bottle stopper or labels from your favorite bottles of wine!